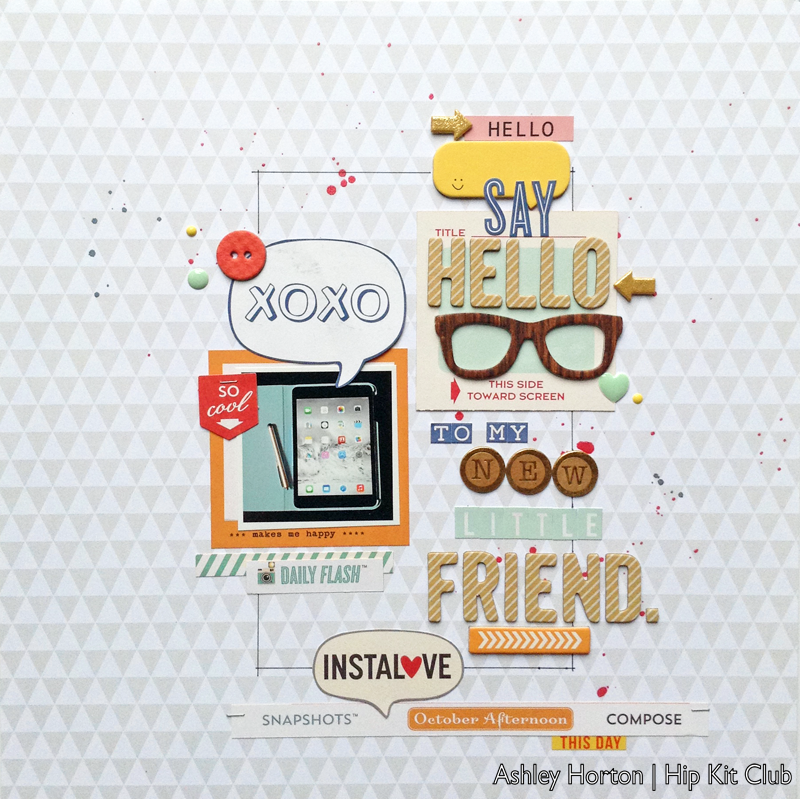 The months fly by when you are creating with the awesome kits from Hip Kit Club! I'm already at the end of the July Hip Kit & Add-On Kits! But the good thing about the end, is that you know another awesome kit will be coming for the next month! 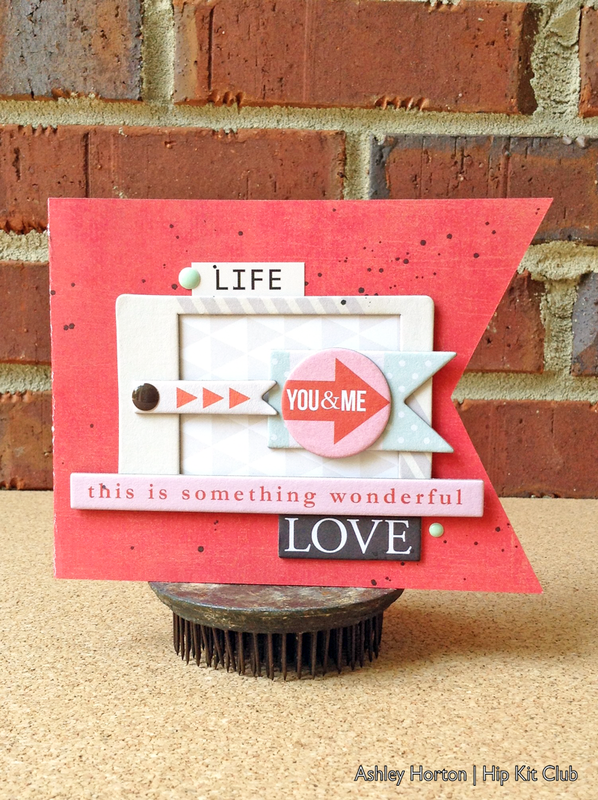 Here's my last layout and card, created with the July Kits! 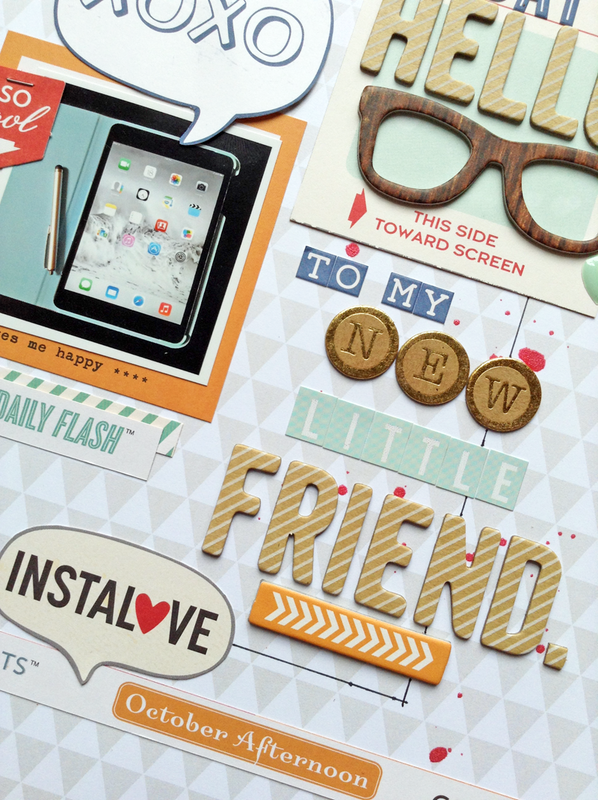 I love to create big, bold titles on my layouts as a part of the page design! So the alpha options in the July 2014 Hip Kit & Add-On Kits are right up my alley. Did you know, that you have FIVE alpha options in this month's Kit??!! The October Afternoon alphas include two styles, you also have Printshop and Typewriter Thickers from American Crafts, and an alpha and labels sticker sheet from Teresa Collins! I mixed letters from each of the alpha sets in with some of the October Afternoon Daily Flash embellishments to create a fun, graphic title on my layout! Today I did something a little different with my card, by creating a shaped card! I found a cute banner design in the Silhouette store, and cut it on my cameo. The card was already sized to 4.25x11, so all I needed to do, was fold it, once it was cut. I added some layers using one of the Crate Paper Open Road frames and some of the chipboard embellishments from the Teresa Collins chipboard pack. 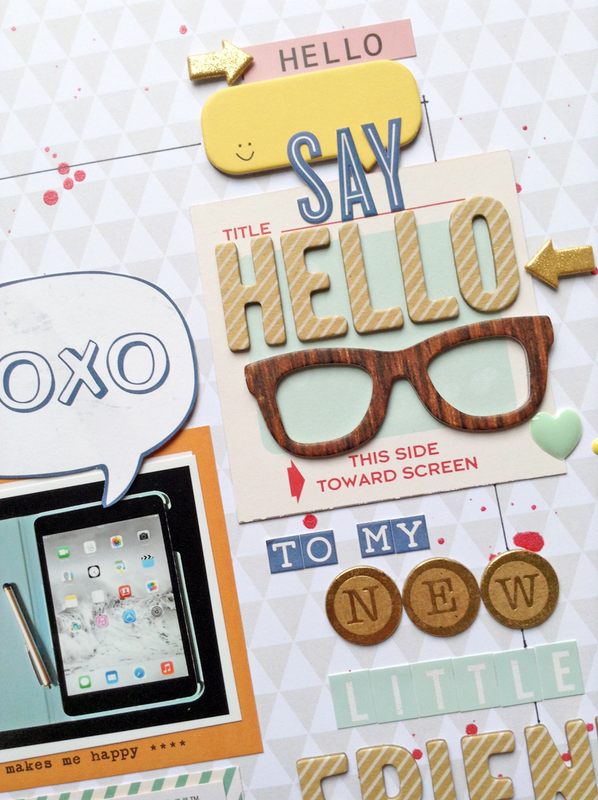 And I love the little chipboard banner pieces...they fit right in, with my banner shaped card! You can check out the new August 2014 Hip Kit & Add-On Kits, in the Shop and get your order in!! The Kit contains some of the new Shimelle from American Crafts and the Brighton Pier collection from Studio Calico!